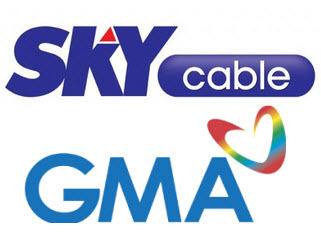 GMA Network Releases Official Statement on Sky Cable Channel Assignment! GMA Network releases its official statement regrading the Channel interruption of their station in Sky Cable Channel 12. "GMA Network expresses its concern as to why it gets to be affected by whatever Sky Cable is doing or modifying in its system. The Network believes that it should be the responsibility of Sky Cable to make certain that any changes it implements in the system does not in any way affect the channels for the sake of the viewing public and paying subscribers."